It’s been a month of bad news for our family, immediate and extended. It sort of stings even now to just even type that, though things will move forward and continue to improve. But to think of the memories for just a moment more, I have this recipe. I’ve always loved berries in baking — they lend a tart sweetness that verges on the edges of sourness that I just adore, as have plenty of my family members. Blueberries, in particular, have been the favourite in our family, and some of my best memories are the few times our whole family gathered down south at the summer house, and we had the fire going, and my paternal grandmother whipped up yet another perfect batch of her blueberry pie. Come to think of it, it was more of a crumble with oats that became crunchy and sweet on top, with the tart blueberries glistening underneath. So in honour of those times, and those family members, I have this. It’s not quite the recipe of my gran’s, but it takes a bit from the old, and mixes it with that of the new. Makes about 8 large bars/pieces. Adapted from here. Preheat the oven to 180°C. Line a baking tray with baking paper (mine was roughly 9×12 inches large). Mix together the flour and sugar in a large bowl. Add the butter, and rub it together with your fingertips until the mixture looks like breadcrumbs. I saw it suggested on the internet that you make the “show me the money” gesture! Which…admittedly, is the move you need to be making. Press 2/3 of the shortbread mixture into the tray, and press it in to keep it altogether. 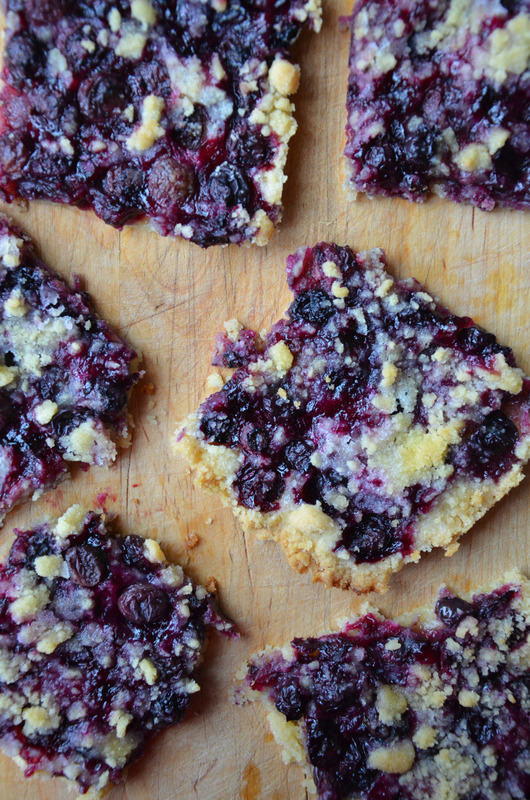 Scatter the blueberries over the mixture, and then add the remaining shortbread mixture over the berries. Scatter over some tablespoons of sugar, and pop into the oven to bake for about half an hour. The shortbread should be slightly golden. Remove, and let them cool completely before cutting into squares. They’re pretty good reheated in the microwave and served with vanilla ice cream! In memory of Paul Axelsson, and Agenta Karlmann. 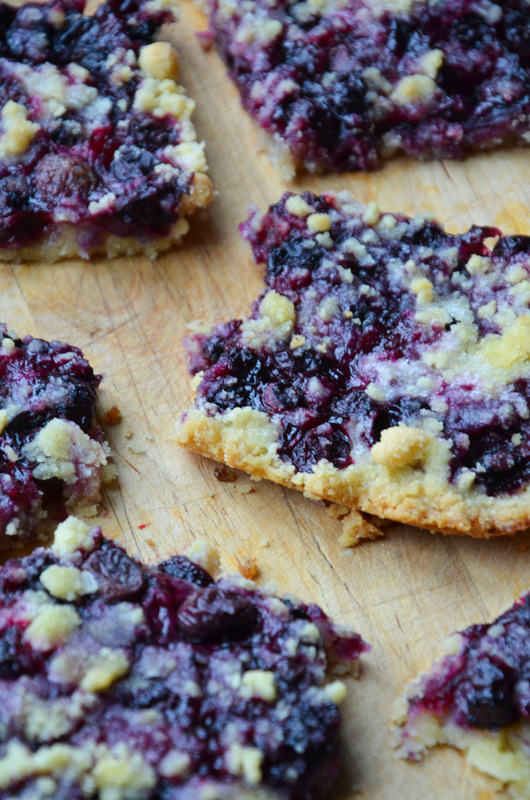 Mmmm so yummy – I love the tart/sweetness of blueberries too! I’m sorry to hear about your rough month – it seems like these things never happen as a one-off, it’s just one thing after another. I hope that you’re out of the woods now and it’s all up from here. Thank you for your kind and admittedly very truthful words. Life is indeed happily quieter. And thank you, if you do, I hope you enjoy! I love me a blueberry, they look delicous. These look so good! I’m definitely saving this recipe! I love blueberries and these bars look terrific!